Once you get warm and cozy under the covers, you don't want to have to get up to turn off the lights or grab your favorite book. 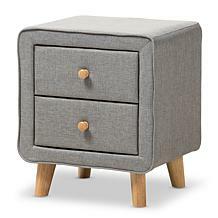 When you reach over in bed to turn off the light, you need a bedside table that's the perfect height. 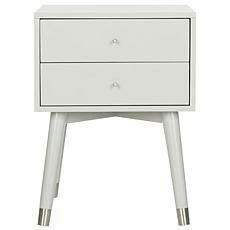 Your bedside table top should also have room for your alarm clock, cell phone, and nighttime reading material. Drawers add extra storage for evening necessities such as moisturizer, pen, paper, and reading glasses. 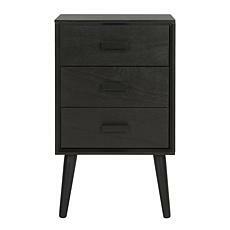 Bookworms will love bedside tables with low shelves that offer plenty of room to stack favorite novels and nonfiction reads. 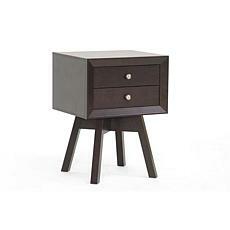 With the right nightstand, you can stay in bed in comfort, unless you want to head to the kitchen for a midnight snack. 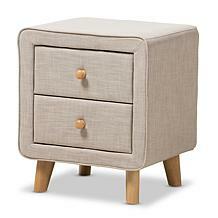 Browse a variety of bedside tables that complement your bedroom style. 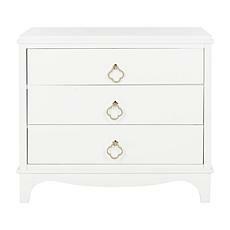 Whitewashed and natural wood work with country-inspired furniture. Woven rattan and mahogany inspire a fresh island feel. Sleek glass and mirrored tops go well with modern, clean looks. 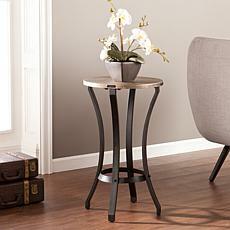 Arts and crafts style nightstands feature sculpted wood and nickel hardware that go with vintage furniture. Shop quality brands like Home Styles, Safavieh, and Marco Island. 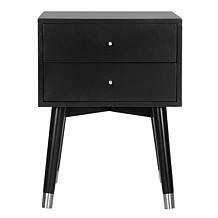 Find your perfect nightstand now.